Last week was rather unusual. There was AW #272 and AW #272- Part II. The least unusual thing, at least to me, was probably the 10-Pack Case not selling. The game selling for only $22.50 was a little unusual. I expected it to sell for a little bit more – but not much. The most unusual was the final sale price of $255 for the HiWay Hauler. It is the most unusual for one of two reasons. First, if the Hauler is real – then it was purchased at an unbelievably low price. If it is real, then I will forever kick myself for not bidding. However, it does not appear to be real. That takes us to the second reason. If someone paid $255 for a custom Hauler, then they overpaid by an incalculable amount. 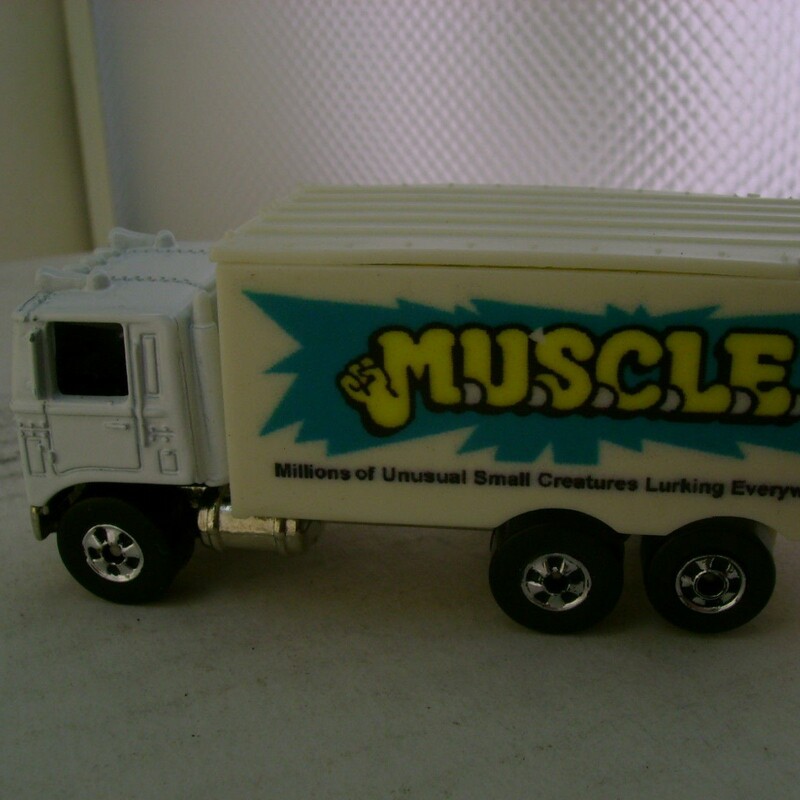 The first auction, Hotwheels Hiway Highway Hauler M.U.S.C.L.E. Custom Replica, seemingly wants to capture the other six bidders that were willing to spend north of $150 for a custom Hauler. Hell, I was tempted to list some Haulers after seeing the insanity. Of course, that’s never going to happen. I still need to get these damn figures into the mail. I think the $19.99 opening bid is very fair. 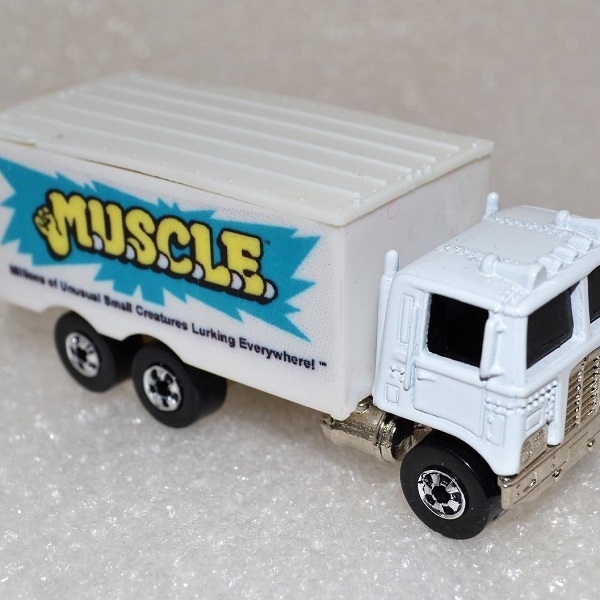 The cost of a vintage Hauler, plus the stickers, makes this a very fair opening bid. I don’t think it will come anywhere close to the $255 price, but maybe the custom Hauler marketplace has radically changed. 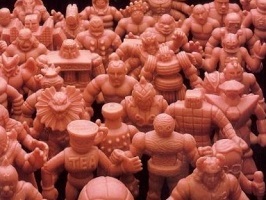 Maybe this means that the marketplace is also ready for the M.U.S.C.L.E. Pez Hauler. Trying to guess a final price for this custom Hauler is very difficult. My gut says that it will sell for around $50, but that $255 sale price is telling my logical side that the price will be higher. I will be watching with great curiosity. 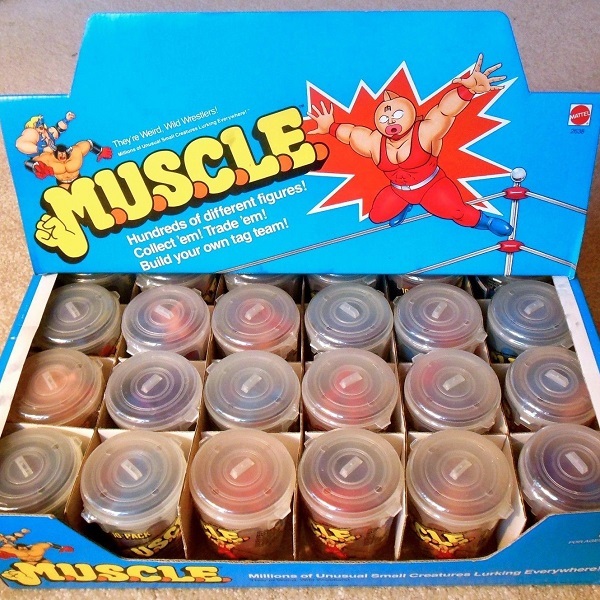 The second auction, 1985 Mattel M.U.S.C.L.E. Men Poster with Original Mailing Tube 23 x 34, is giving me some serious déjà vu. Didn’t we just see a poster and tube sell? The answer is yes; it sold for $51. 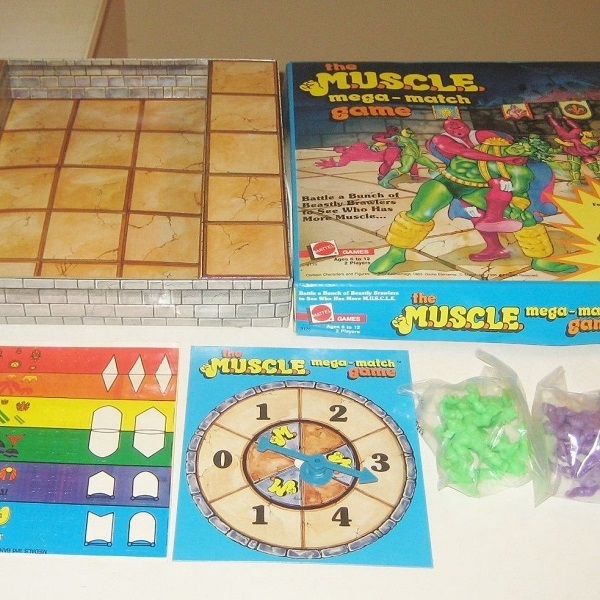 The déjà vu is intinsified, for me, because this seller also sold the unused game above. But I had a very weird reaction to the poster tube. 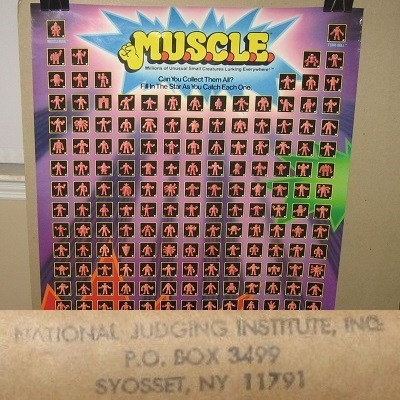 I don’t remember ever seeing “National Judging Institute, Inc.” on the poster tubes. I don’t know what it means. I don’t think it adds anything to the Poster Offer. It just seems weird. Not good or bad – just weird. Regardless of my attention to minutia, the poster is in good condition. That will be the driving factor for this auction. The condition is better than most of the posters we have recently seen. Collectors looking to upgrade their poster will be going after this one. The poster tube will be an added bonus – not at all the focus. I can imagine this poster selling for $100 or more. 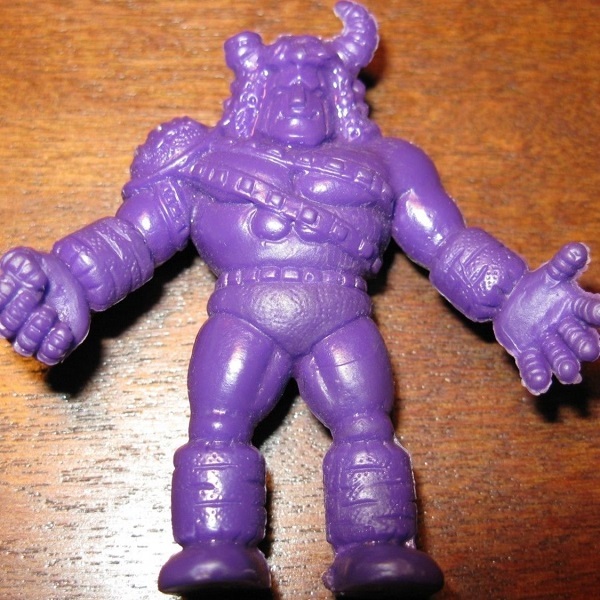 The third auction, M.U.S.C.L.E Man Kinnikuman Rare Class A Figure Terri-Bull Buffaloman #002 YSNT, is a rather popular Class A figure. Most recently the figure sold for $51. The seller has three Class A figures for sale. The Magenta #54 figure and Purple #16 figure are far less interesting to me. If they find buyers, then I can’t imagine a bidding war. They will be lucky to find one buyer at those opening bids. I don’t love the Purple #2 starting at $39.95, but it is popular enough to get bids – even with that opening bid price. Even though Purple #2 will get some bids I don’t think it will approach the $51 final price. Overall Class A prices continue to decline. I know I sound like a broken record, but the only crazy Class A prices we will come from the roughly 30 figures which are a part of Micro Class A madness. Purple #2 is not in that group. This entry was posted on Thursday, December 6th, 2018 and is filed under Auction Watch, UofM News. You can follow any responses to this entry through RSS 2.0. You can skip to the end and leave a response. Pinging is currently not allowed.